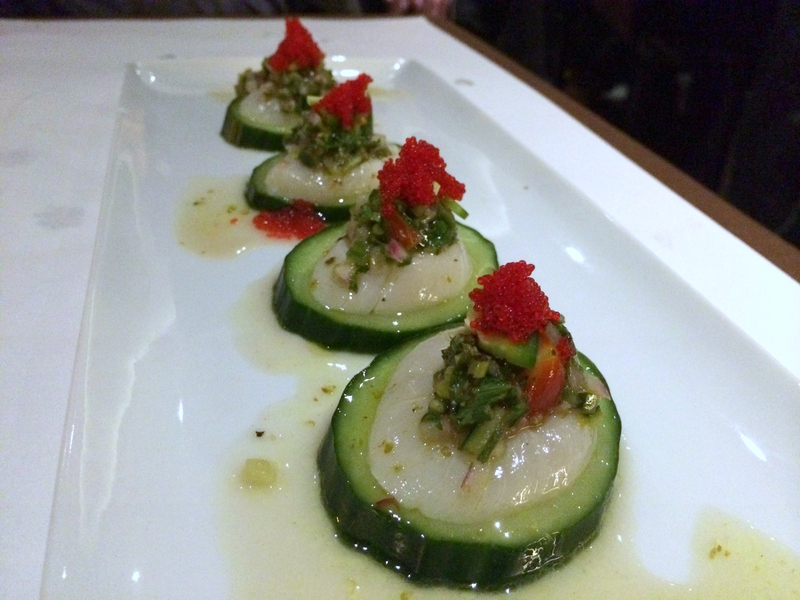 Citrus-marinated scallops on cucumber rounds topped with minced vegetables, cilantro, sliced jalapeño peppers, roe, and a light citrusy sauce. Yuukai Fusion Japonaise is an amazingly fabulous BYOB in Montreal’s Mile End neighborhood that turns out inventive Japanese rolls, tapas, and incredibly fresh sashimi. It is known around town as Montreal’s Nobu, and I have to say it lives up to the hype. The menu is exciting and innovative, the staff is knowledgable and informed, and every dish is beautifully turned out, delicately balanced, and remarkably delicious. For a meal of this caliber I would have expected to shell out big bucks, but our bill was less than half of what I would have thought it would be–and a good quarter of the prices at Nobu. The scallop ceviche is truly incredible. Serving the scallops individually dressed on cucumber rounds is both beautiful and functional, as the cucumber itself balances out the softness of the scallops and the spiciness of the jalapeño peppers (and they were very spicy!). Among other standout dishes is the Siréne, a rice paper-wrapped maki roll filled with salmon, fried onions, and Katzu shrimp. 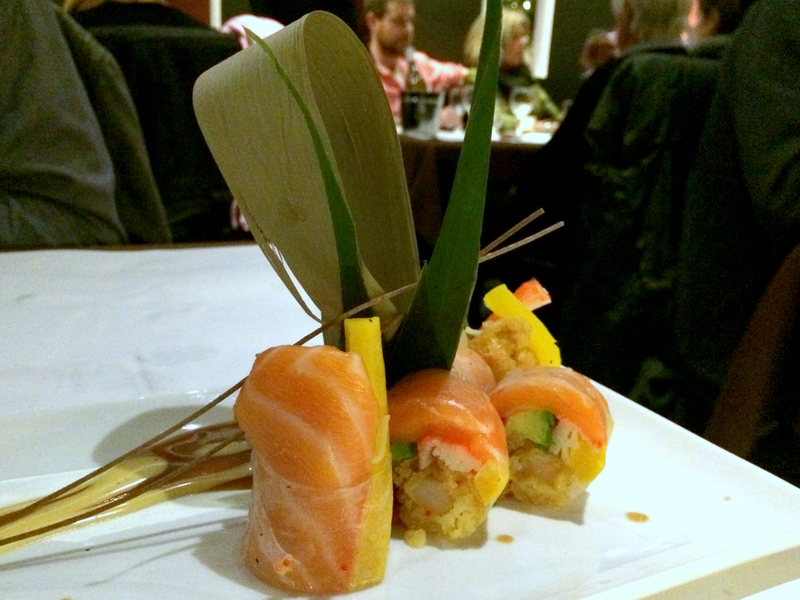 The chefs tried out several variations of this roll using their staff as tasters before getting it just right. The crispiness and flavour of the fried onions is a delicious addition to the salmon and shrimp, with the rice paper adding a delicate touch. 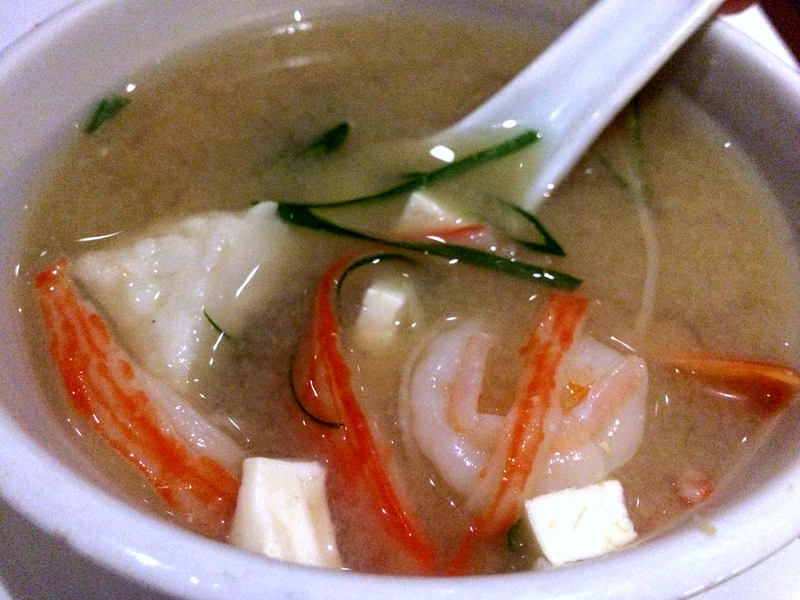 The seafood miso is filled with pieces of halibut, shrimp, mussels, scallops, green onion, and tofu in a rich miso broth. 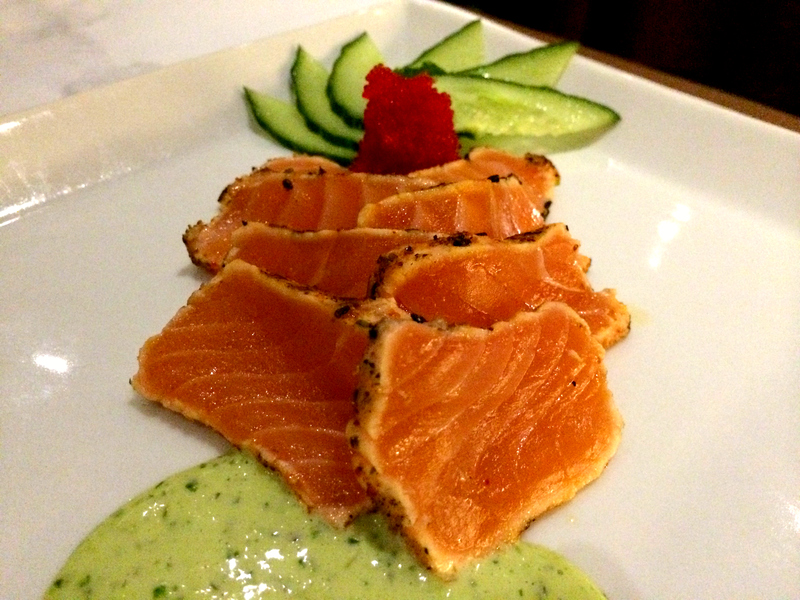 The salmon tataki is lightly-seared, fresh and flavourful, and served with a lovely green dipping sauce, cucumber slices, and roe. If you are looking for delicious and innovative Japanese cuisine in Montreal, Yuuaki Fusion Japonaise is a must-visit! oh goodness, those are lovely. I can see that Montreal needs to go on my To-Visit list. Will holler when I’m on my way 🙂 Thanks for your great reviews and photos.